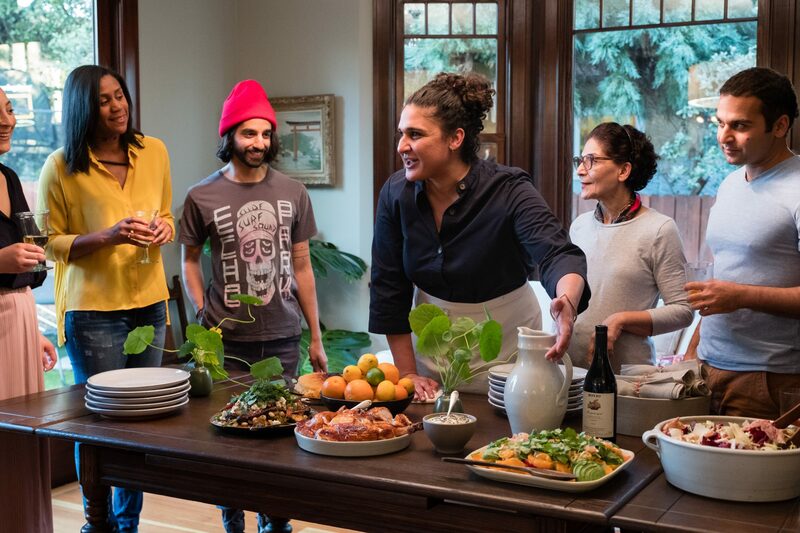 The 29 Best Cooking Tips in Samin Nosrat’s ‘Salt Fat Acid Heat’ Show on Netflix. 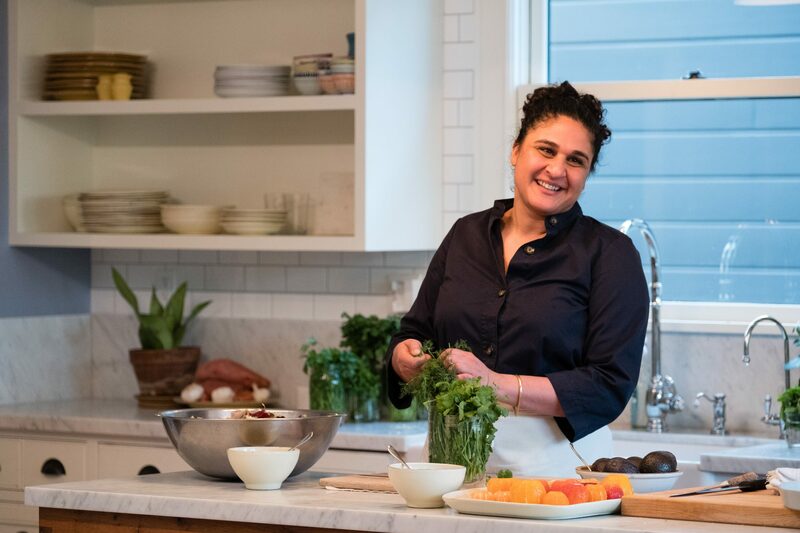 Salt, Fat, Acid, Heat, Samin Nosrat’s new four-part show on Netflix that’s inspired by her book of the same name, melds the foundations of cooking with the thrill of travel. As Nosrat makes pesto in Liguria and miso on Shodo Island, while she eats salsa in the Yucatán and hosts a dinner party in Berkeley, she talks about best practices for cooking all kinds of cuisines—gathering knowledge from local experts along the way. 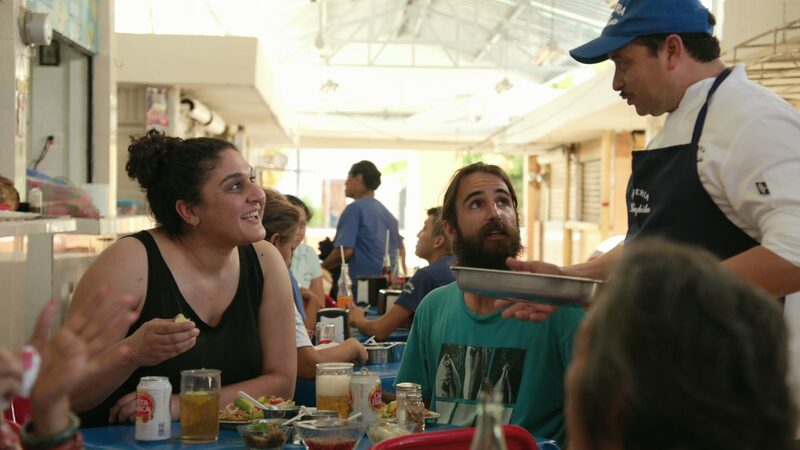 Early on in the first episode, Nosrat makes a promise to her viewers: “Just four basic elements can make or break a dish: salt, fat, acid, and heat. Commit to mastering them and you can become not only a good cook, but a great one.” But how can you actually master these elements? That’s where Nosrat’s cooking tips (as well as those of her friends) come in handy. Description: “Fat. It's nothing short of a miracle. Fat is flavor. Fat is texture. Fat adds its own unique flavor to a dish and it can amplify the other flavors in a recipe. Simply put, fat makes food delicious. And one of the most important things any cook can learn is how to harness its magic." On cooking with oil: “When you cook, it’s very important to know what kind of oil you’re adding. Oil should never cover up the flavor of your dish, but it should accompany and enhance it,” says Franco Boeri, olive oil producer. On differentiating amongst olive oils: “A good olive oil must have three parameters. It’s fruity, spicy, and bitter. In your mouth, you must feel at least a bit of spiciness. Because if it’s spicy, it’s alive. It’s a flavor that remains in your mouth. So, if you drink it and that’s all, it’s not a good olive oil. But if you drink and after a minute you still feel the oily sensation in your mouth, that’s a good olive oil,” says Paolo Boeri, olive oil producer. On making pesto: “You know the pine nuts are ready when it starts to form a paste, then add basil and a pinch of coarse salt...The coarse salt helps to break apart the leaves,” says Lidia Caveri, a home cook living in Liguria. On preheating the pan: “This is one of those important things that I think home cooks forget, is how important it is to preheat the pan. You have to heat the pan before you heat the oil,” Nosrat says. On making sofrito: “It takes a lot of olive oil to make sofrito. The fat that you choose sets the dish off on a path. If you cook the sofrito in butter, it’s not sofrito,” Nosrat says. On making pasta by hand: “It’s really just flour and eggs to make handmade pasta, and the eggs give the richness, the incredible fat...Everybody thinks making pasta is so difficult. It’s not difficult. It’s just about going slowly and using the senses,” Nosrat says. Description: “Salt. It's fundamental to all good cooking. It enhances flavor and even makes food taste more like itself. In short, salt brings food to life. Learn to use it well and your food will taste great." On cooking with salt: “It really comes down to three basic decisions to make in your cooking: when to salt, layering salt, and how much salt,” Nosrat says. On saltiness: “In general, the size of the crystal determines the saltiness. If the crystals are small, they dissolve quickly in your mouth, so you can taste all of the saltiness immediately. Bigger flakes will dissolve more slowly, so the saltiness is gradual and less intense,” says a clerk at a salt store in Nagoya. On salting meat: “One of the most important lessons I can teach you is the power of salting meat in advance. I want to always make sure that I’m getting all the sides of a piece of meat nice and evenly salted. I do what I call the ‘wrist-wag.’ In general, I season meat on the bone the minute I bring it home from the butcher shop. I’ll unwrap it, season it, wrap it up, throw it back in the fridge. That way I know I’m giving salt enough time to do its magic,” Nosrat says. On layering salt: “Anytime I’m making any dish, I’m always thinking about the different sources of salt that I can work in because you get other flavor benefits, beyond what we could’ve gotten if we had only salted the meat,” Nosrat says. On how much salt to use: “Often when there’s water involved, it’s about having a salty enough environment so that in the short time that the food spends in the pot, it will become seasoned from within. The less time a food spends in a pot of salted water, the saltier the water should be. The only way to know how much to use is to taste your way there,” Nosrat says. 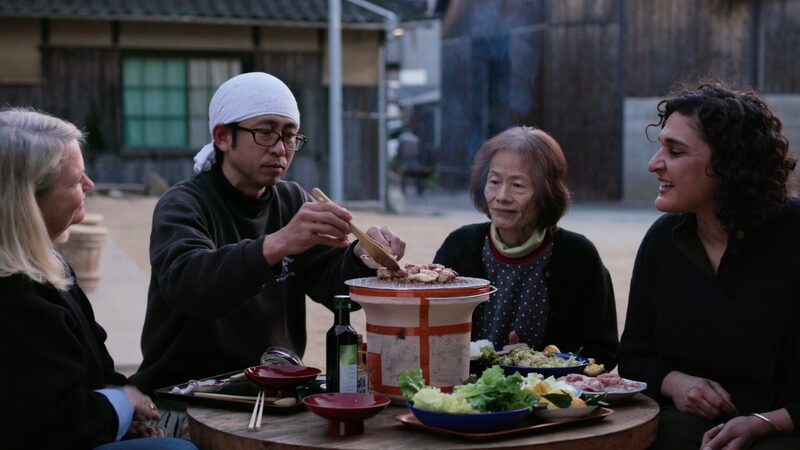 On making the miso balls: “The point is to squish all the air out, otherwise you’re going to have mold introduced because air promotes mold growth,” says Nancy Hachisu, a food writer living in Japan. On cooking with acid: “The list of acidic ingredients extends far beyond citrus and vinegar. Anything fermented is also acidic. That includes cheese, pickles, and beer. Most of us cook with acid without even realizing it. Think of beef stew cooked in red wine or meatballs simmered in tomato sauce. When used as a cooking medium, acidic ingredients mellow, becoming subtle but essential flavors in a dish, while acting as a counterpoint to salty, fatty, sweet, and starchy foods,” Nosrat says. On marinating in acid: “Marinating in acid has a different effect on food than cooking in it does. A highly acidic marinade will tenderize meat, but if left too long, the meat will toughen up, like an over-cooked steak,” Nosrat says. On browning foods: “Browning also produces acidity, creating flavors that didn’t exist before,” Nosrat says. On soaking onions in acid: “Soaking the onions in acid takes the fire out of them without diminishing the brightness they add to a dish,” Nosrat says. On garnishing with acid: “Another way to use acid is as a garnish to add brightness. A simple squeeze of lime over pho cuts through the beefy broth. A crumble of goat cheese gives a needed tang to any salad. And a splash of white wine added just before serving balances the starchy richness of a risotto,” Nosrat says. On making salsa: “Tomatoes, tomatillos, sour oranges, limes, and vinegar can all be used to lend an acidic punch,” Nosrat says. On unexpected forms of acid: “Coffee, chocolate, and even bananas are all sources of acid that can be are used to balance a dish. One surprisingly sour ingredient more often associated with sweetness is honey,” Nosrat says. On building a fire: “One of the most important things to building a fire is you want to have different heat zones. Just like when you have a stove and you can turn it up or down, you want to give yourself those options over the grill, too,” Nosrat says. On grilling a steak: “You want to cook it more than halfway on the first side, and then let it cook through to medium-rare, whatever you like, on the second side,” Nosrat says. On buying meat: “When you’re looking for a steak at a grocery store, you’re gonna want to look for the speckled marble...This is where all the flavor’s gonna come from, the fat on the inside...You want to shop with your eyes. If something doesn’t look good, it’s probably not gonna taste that good,” says a butcher at the Berkeley Bowl West grocery store. On prepping meat: “You have to bring meat up to room temperature. You have to pull it out from the fridge and let it sit on the counter for an hour or longer depending on the size. When you go straight from the fridge into the oven, it will never cook evenly. The skin of the chicken will rip. The outside will get burnt and overly dry before the inside can even cook. That’s why a lot of Thanksgiving turkeys come out raw,” Nosrat says. On using an oven: “The back of the oven is where all of the heat really is, because every time you open the oven all of the heat escapes out the front. So the front will always be cooler and the back will always be hotter. So if we put the chickens with the legs facing toward the back, the whole bird will cook more evenly because legs always need longer time than the breasts to cook,” Nosrat says. On herbs: “The easiest dollar that you can spend to really make the biggest difference in your home cooking is a bunch of herbs. So if I know I want to make Thai food, I buy basil and cilantro. If I know I want to make Italian food, I buy parsley and rosemary and sage...if you really want to make them last, you can trim the ends a little bit and stick ‘em in a glass of water in the fridge. Take care of your herbs and they’ll last a whole week,” Nosrat says. On roasting vegetables part 1: “A lot of times people just drizzle oil on top, but you want the oil between the food and the pan, and that’s how you get that crisp bottom edge,” Nosrat says. On roasting vegetables part 2: “What freaks me out is when people pack so many [brussels sprouts] onto a pan that there’s no room for steam to escape, and that’s when you get steamed brussels sprouts. The other mistake I see a lot of home cooks making is they’re like oh, I’m in a hurry, let me just mix all my things onto one tray and throw it in the oven. And when you do that, you’re combining things with all these different characteristics—different amounts of sugar, different amounts of water. I say use as many pans as you have vegetables, and if that’s too many pans, then at least split it half and half so that you can remove the broccoli or the butternut squash before the other thing burns,” Nosrat says. On roasting vegetables part 3: “You also want to make sure everything is in contact with the pan. It’s just like if you’re sauteing. The browning that happens on top is air browning. The browning that happens on the bottom comes from conduction,” Nosrat says. On choosing a cooking salt: “All salts are not created equal. Morton’s kosher salt is denser than Diamond Crystal. Just one teaspoon of Morton’s is nearly as salty as two teaspoons as Diamond Crystal. When you’re following a recipe and it says ‘add a teaspoon of salt,’ your food will taste completely different depending on which salt you use. The most important thing you can do is know your own salt. 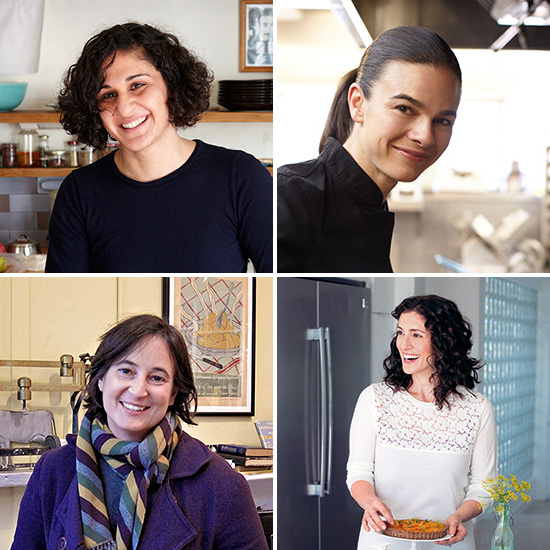 Whatever it is, just get to know what you’re using and what you’re cooking with,” Nosrat says.